Shake well. Slowly dispense liquid toward side of mouth/inner cheek, using the provided syringe up to 3 times within a 24-hour period. May be used as needed, once every 4-6 hours. Do not exceed recommended serving size or maximum servings per day. 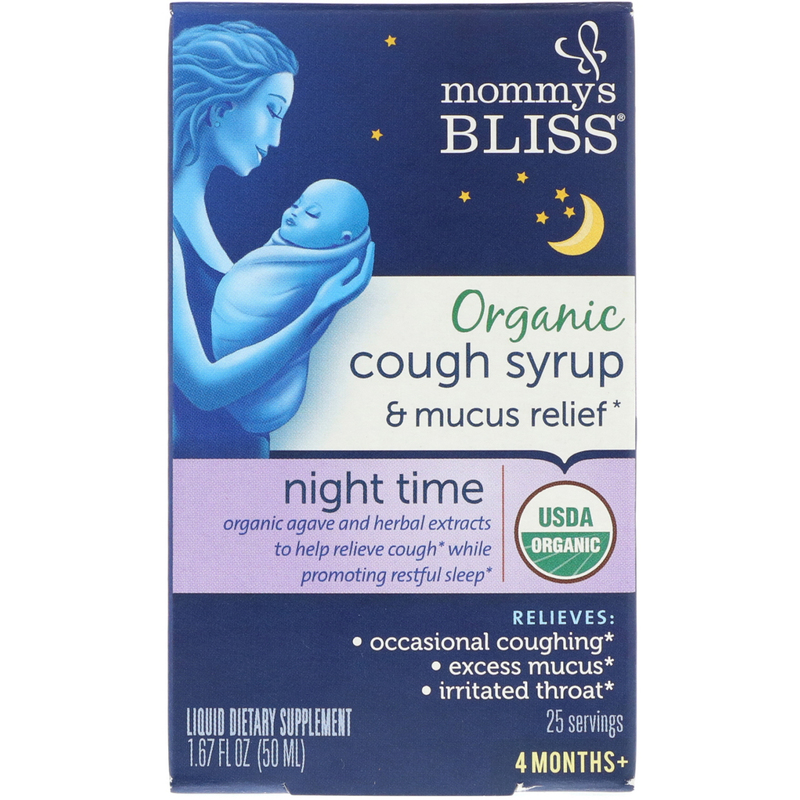 When using with Mommy's Bliss Cough & Mucus Relief + Immunity Boost, do not exceed a total of 6 combined servings within a 24-hour period. Discard 3 months after opening. Organic agave syrup, water, citric acid. No alcohol or parabens. No artificial flavors or colors. No dairy, gluten, or soy. Do not consume this product for more than 5 consecutive days. 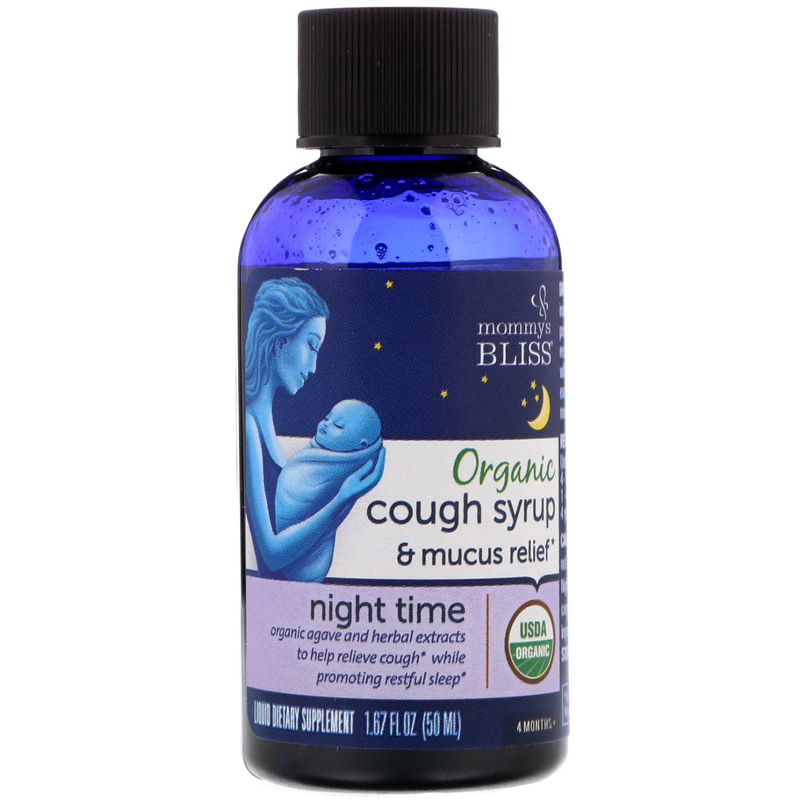 Do not use product within the same 24-hour period with other Mommy's Bliss Night Time products. Consult your healthcare provider for persistent or chronic coughs. 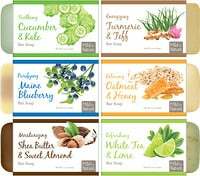 Be aware that some individuals may be allergic to the natural herbal ingredients. 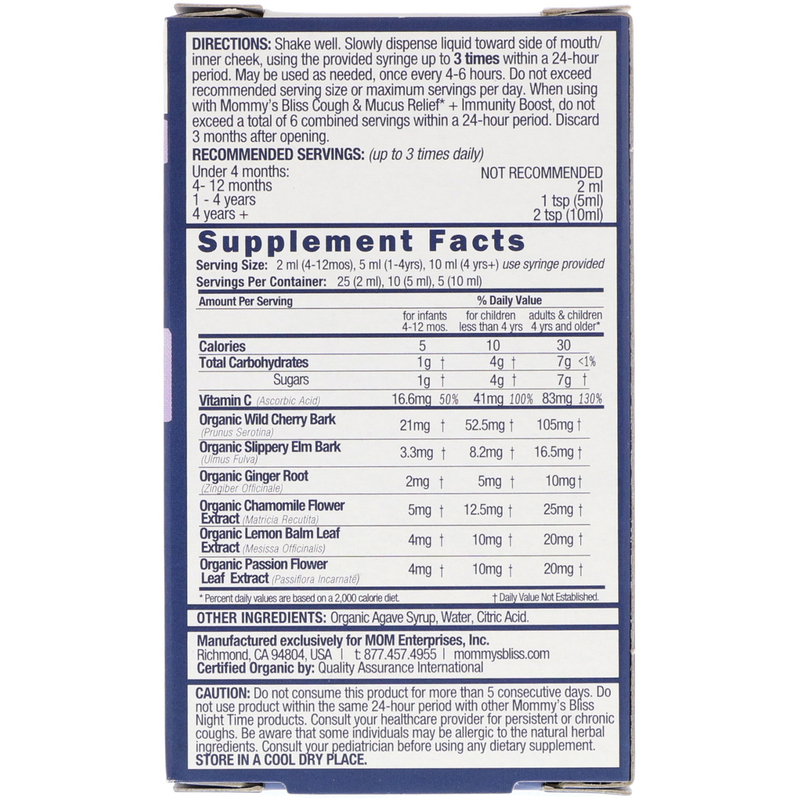 Consult your pediatrician before using any dietary supplement.